. 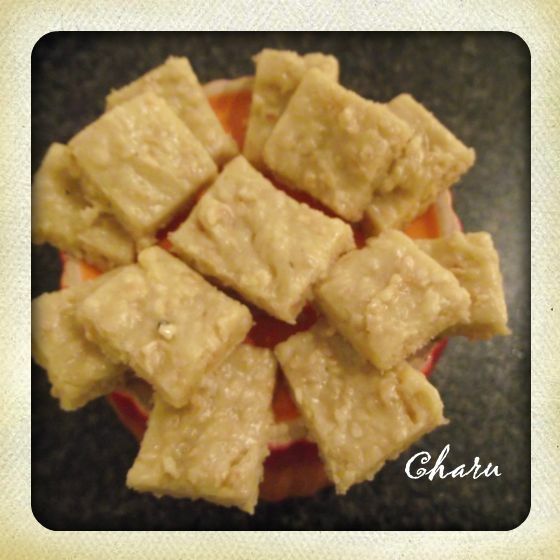 : tribute to grandma on makar sankarnti ~ sesame burfi !! 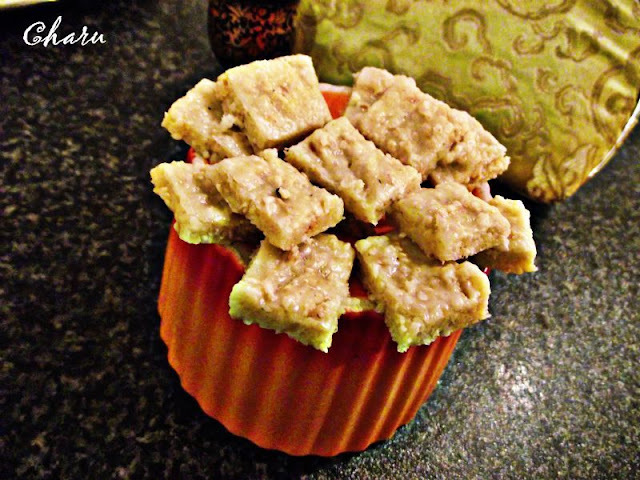 tribute to grandma on makar sankarnti ~ sesame burfi !! WISHING EVERYONE A HAPPY AND PROSPEROUS MAKAR SANKRANTI !!! Also called Khichdi in our northern India tradition because on this day the custom to eat Khichdi , is generally observed by people.In addition to Khichdi, great importance is attached to the use of TIL (Sesame seeds) during Makar Sakranti. This blog post is dedicated to my late Grand ma ..my Dadi.She was an excellent cook.. kitchen queen...so much so that her afternoons were spent inventing and re-inventing dishes in the kitchen.Her sweets specially laddus were unbeatable......as a kid I often used to ask her"Dadi why dont you open a sweet shop??" I still remember those summer vacations..listening to endless stories/tales from Dadi and relishing all those dishes cooked by her. When talking about Khichdi she used to cook a whole bouquet of divine sweets from sesame burfi to laddus .....among all those sesame burfi was my favourite...I wish I was big enough to ask her the recipe then...so while net surfing I came across this recipe which sounded that would yield the same result...so here I am sharing the recipe of sesame burfi !! Roast sesame seeds over medium heat till they are golden in color.Keep aside. In a pan add cream and milk powder mix it well over medium-high heat. Lower the heat to medium and keep stirring until mixture is reduced to thick paste and starts coming together.Your homemade khoya is ready. Add roasted sesame seeds and mix well. Stir for another 2-3 minutes until mix start looking soft dough. Keep stirring for 1-2 minutes and bring the burfi back to dough texture. Spread burfi mixture onto the greased plate/ non-stick baking paper . Let it set for two hours at room temperature. Cut burfis to desired shape. Enjoy this festival with this burfi and take some time to remember and cherish your childhood coz its the most priceless time of one's life . Mouthwatering here, the picture itself tempts me a lot...delicious burfi. Your grandma's recipe looks very delicious, so sweet,it's a going to be a big hit.